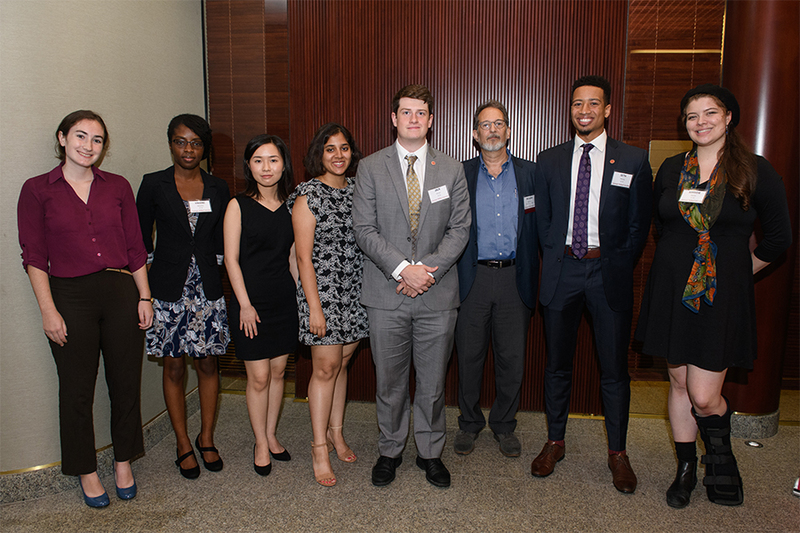 The Andrew Carnegie Society (ACS) Scholars Class of 2019 has been announced, and seven seniors from the Dietrich College of Humanities and Social Sciences have been selected. ACS Scholars are Carnegie Mellon University undergraduate students who combine high academic standards with extracurricular activities, such as volunteering, playing sports, taking on leadership roles and participating in student organizations and the arts. Whether on campus or abroad, Boyle is an active member of the CMU community. This summer, she worked as a legal and paralegal support intern for the Center for Migration and International Relations in Kathmandu, Nepal. There, she worked to solve cases of Nepali migrant workers. Before taking on her internship, Boyle studied abroad in Rabat, Morocco, taking classes taught in both French and English. At CMU, Boyle has worked as an orientation leader, teaching assistant, and research assistant in the Human-Computer Interaction Institute and the Institute for Politics and Strategy. She has served as president of Facilitating Opportunities for Refugee Growth and Empowerment (FORGE) and currently is manager for the improvisation troupe No Parking Players. Boyle has also been initiated into the Phi Beta Kappa Society.